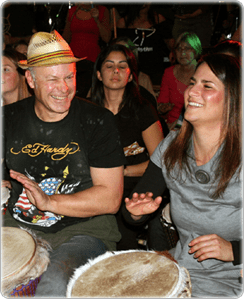 Thanks for your interest in our free drumming lessons! Grab your drum and play along to this video. Follow the youtube links on screen for heaps more free lessons. Full African rhythm lessons in all their parts. Broken down both phonetically and on the drums. Sense of community, transcends boundaries and is a lot of fun!. Passionate people, Asia pacific wide, inspired events.